Hey, lovelies! 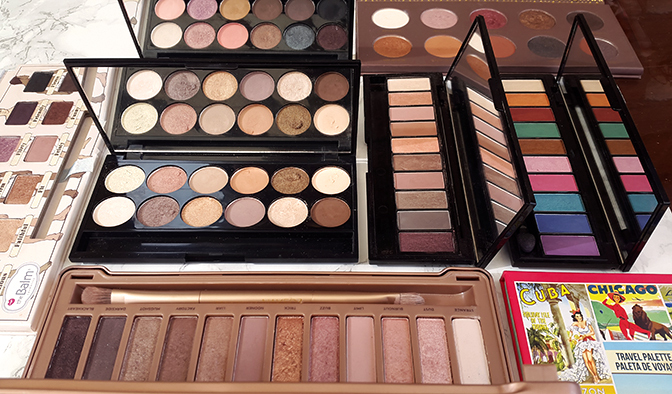 If you've been visiting Shoes and Glitter for a while, you probably know that eyeshadow palettes are my biggest weakness when it comes to makeup. I just can't say no to a pretty set of lovely eyeshadows; plus I find them to be much more convenient and practical than mono eyeshadows (especially when travelling). Today, I've decided to do a little round-up of all the eyeshadow palettes I've reviewed this year. There is a good mix of both high-end and drugstore palettes, and I've added the links in case you want to check out a full review and swatches. Hope you enjoy! Hey, gummy bears! With autumn finally here, I'm very excited to be bringing you my seasonal perfume recommendations. 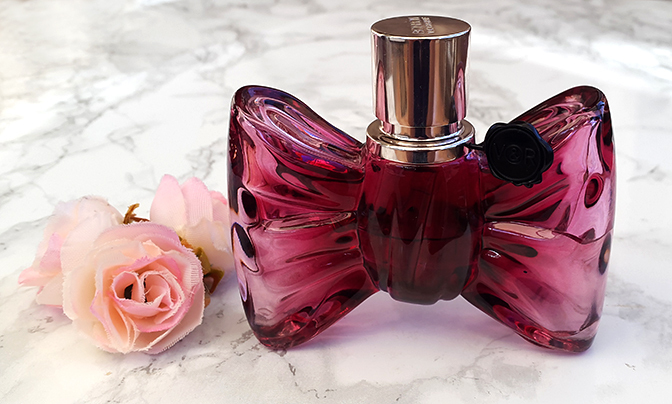 It's weird to think that it's already been a full year since my first ever perfume post... My fragrance collection has grown a lot since, and I've discovered many new scents that I'm very excited to share with you all. Personally, I think that autumn is perfect for perfumes that are quite bold, sweet and intense. My favourite autumn fragrance notes include earthy patchouli, caramel and amber; all of which will feature in today's list. Hope you enjoy! Are Urban Decay palettes really worth your money? Naked 3 honest review + full swatches! Hey, jelly beans! 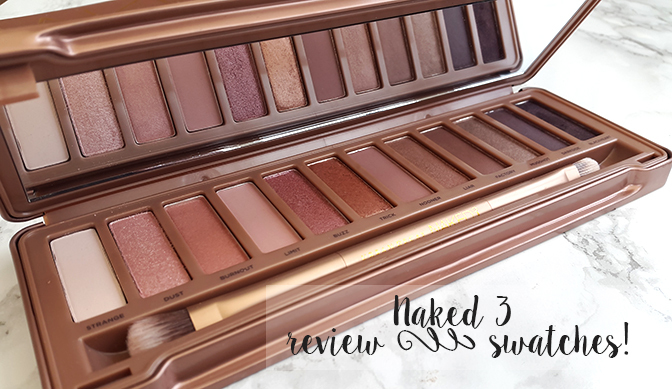 Today, I'm going to talk about one of my most exciting makeup purchases so far this year - the Naked 3 eyeshadow palette by Urban Decay (£35, FeelUnique). The Naked range needs no introduction, and I'm sure that many of you are already familiar with these iconic palettes. I was always drawn to the beautiful, rose gold tonality of Naked 3, but could never justify the hefty price tag. I think that in this day and age, we have so many quality drugstore makeup options available to choose from; it becomes questionable whether high-end brands are even worth the money anymore. I firmly believe in treating yourself to something luxurious from time to time, which is partially why I decided to finally take the plunge and buy this palette. Did I need it? Absolutely not. I just couldn't resist it (can you blame me?). Hey, jelly beans! 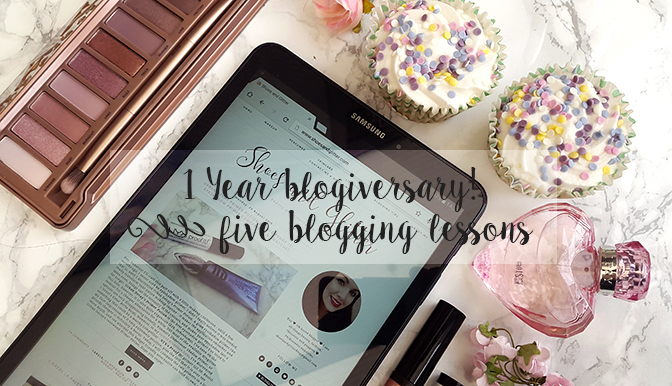 Today is a very special day - Shoes and Glitter is celebrating its one year blogiversary! I honestly can't believe how quickly the time flies... When I first posted on this blog exactly one year ago, I didn't expect myself to stick to it for more than a couple of months. I would look up to all the bloggers who have such gorgeous, well-established blogs (I still do) and thought 'Wow, I could never achieve this!'. One year later, and I'm enjoying blogging more than ever - it's something that I look forward to doing every single day, and that makes me feel happy and fulfilled. Shoes and Glitter now has over 600 friends on bloglovin', and almost 3000 Twitter buddies! And whilst blogging isn't all about the numbers, I'm beyond grateful for each and every single one of you who comes here to read my random beauty ramblings. Although it's only been one year, I can already say that blogging has been one of the best experiences in my life, and I hope for it to continue for many years to come!